Representatives Ted Yoho (R-FL) and Louie Gohmert (R-TX) have thrown their hats into the ring to challenge Speaker John Boehner for his leadership position. Gohmert appeared on Fox and Friends Sunday morning to announce his candidacy for Speaker of the House. Yoho also declared his candidacy for Speaker via a public statement. On Fox and Friends, Gohmert challenging Boehner after he voted for and pushed out the $1.1 trillion “CRomnibus” spending bill which funded all of ObamaCare and the President’s executive amnesty for this year. 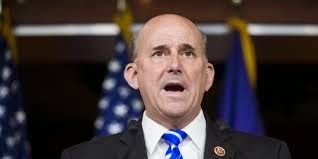 Gohmert referred to a Caddell Associates Poll that surveyed GOP voters in the midterm elections. 60% of those polled wanted “someone else” to be Speaker of the House. Establishment Republicans have repeatedly said that a vote not for Boehner would be a vote for Rep. Nancy Pelosi (D-CA). See below the video of Rep. Gohmert. “There is false information being floated that any Republican candidates in addition to the current Speaker will split the vote and give the Speaker’s gavel to Congresswoman Pelosi. This is nothing but a scare tactic to keep the current regime in power. As long as Republicans vote for an adult American citizen for Speaker, no Democrat can win. Only if 59 Republicans voted “Present” would there be a chance for a Democrat to win. To win the Speaker’s race, an adult American citizen has to get a clear majority of all Members of Congress on the House floor voting for an eligible person. Voting “Present” simply reduces the number of votes required to win a majority. If no one wins a majority on the first ballot, then we go to a second vote, then a third, until someone gets a majority. Rep. Ted Yoho also announced his intention not to vote for Speaker Boehner, soon after releasing in a public statement his campaign for Speaker. Yoho, along with Rep. Jim Bridenstine (R-OK) and Thomas Massie (R-KY), pledged not to vote for the Boehner when Congress returns this week.